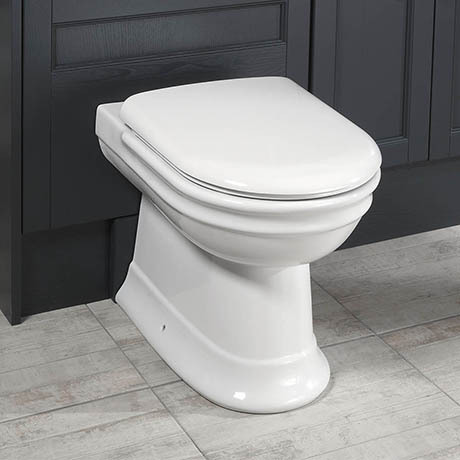 A beautifully traditional back to wall toilet from Silverdale Bathrooms, part of the Hillingdon range of sanitary ware. Features a stylish and elegant double roll rim and soft edges. Each individual piece of sanitary ware has been carefully considered in its design, being based on authentic original pieces and lovingly re-created. Supplied with a premium grade, white thermoset toilet seat with soft closing quick release hinges.